Bart Hassam of Australia Named Champion! 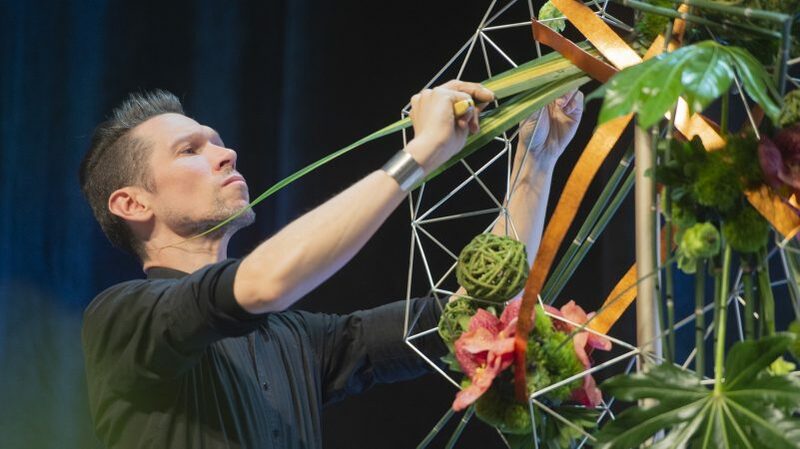 The FTD World Cup 2019, considered the Olympics of floral design, was held last weekend in Philadelphia, marking the first time the competition has been held in the U.S. since 1985. But perhaps even more exciting than its return to the U.S. is the fact that global participants in the competition created some of their designs with over 14,000 Certified American Grown Flowers and Greens donated by American flower farmers! Certified American Grown was a proud sponsor (as displayed on the big screen) of this year’s FTD World Cup competition in Philadelphia. For the first time ever, domestically grown flowers starred on the biggest stage in the floral industry during a surprise challenge held on Saturday, March 2. The surprise package of flowers was the only origin-based design package offered during the competition. The 2019 FTD World Cup was held in conjunction with the Philadelphia Flower Show and included massive floral displays and floral demonstrations. The FTD World Cup included designers from 23 different countries who won their national competitions to gain entry into the contest. During the main competition last Friday and Saturday, the designers completed four tasks starting with three designs of their own creation (a table for two, a hand tied bouquet, an architecture-inspired piece) and ending with an on-the-fly design – the Certified American Grown Flowers and Greens task. From there, 10 semifinalists moved on to tackle a semifinal challenge Sunday morning. On Sunday evening, five finalists competed in one last surprise task and Bart Hassam of Australia was named the champion, earning a prize worth about $17,000. Certified American Flowers and Greens were sent to Philadelphia from flower and greens farms from across the country to be featured as one of the surprise packages that all 23 designers were given to work with for the final stage of the first round. Certified American Grown’s procurement specialist Anna Kalins and American Grown Flowers and Green champion and former Field to Vase designer Kelly Shore of Petals by the Shore represented the Certified American Grown program throughout the week and at the FTD World Cup Gala.